Carlisle Beekeepers Association supports members and prospective members who wish to train in all aspects of beekeeping. The association normally runs a beginners course each year, with both practical and theory sessions. The Beginners’ course is designed to provide people interested in beekeeping with the knowledge and practical skills they will need to get started. 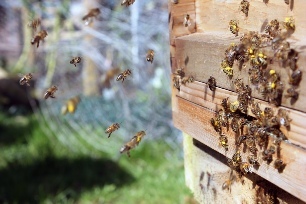 Beginners are also very welcome to attend the regular apiary meetings, where they can gain more experience and meet some interesting beekeepers. Successful candidates can have the examination fee for the Basic and Module 3 refunded by Cumbria Beekeepers Association.